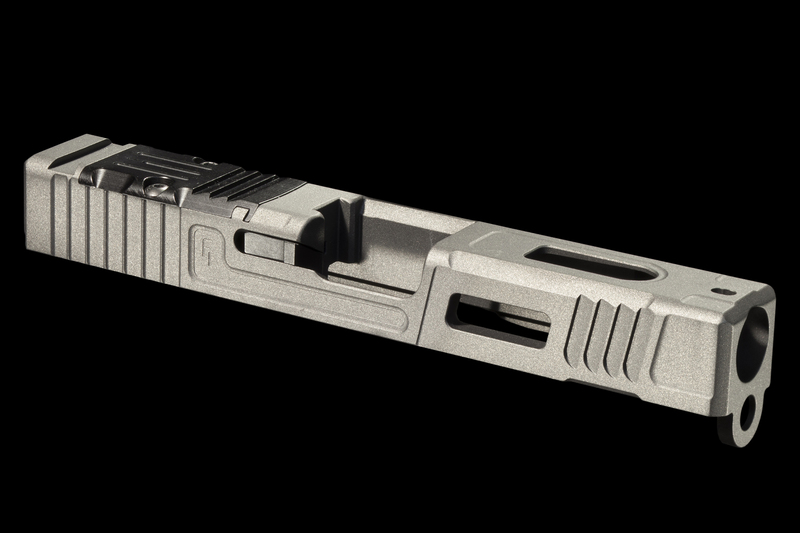 Our Mk 1 line was designed primarily for those who seek a purpose built, no nonsense enhanced carry pistol. 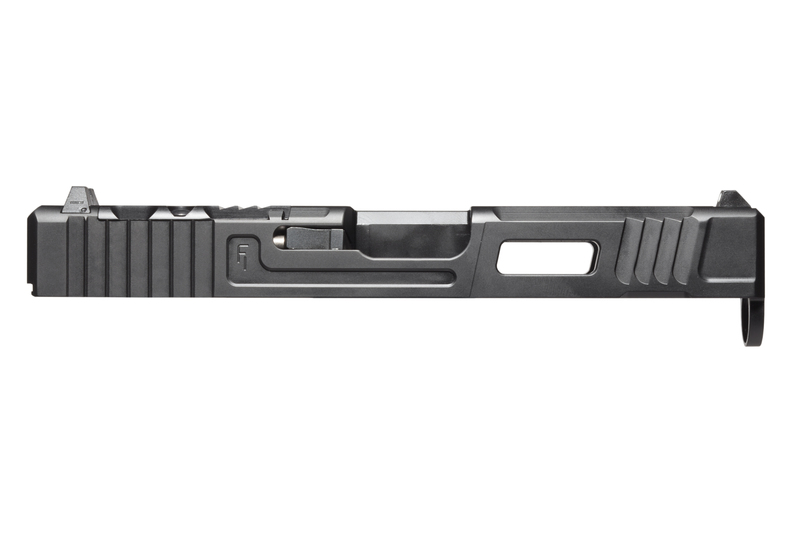 Every detail of the Mk 1 is designed to aid the shooter in a high stress situation. 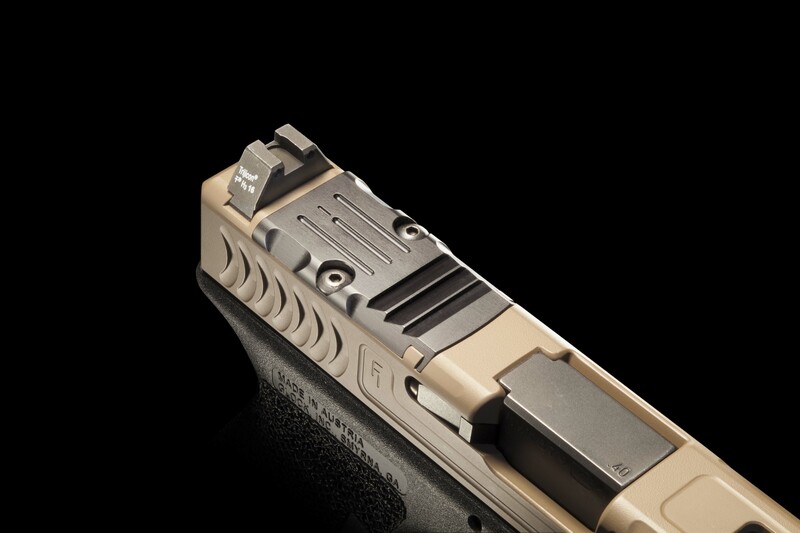 When precious moments mean the difference between neutralizing a threat or being a victim, the Mk 1 offers the shooter a huge advantage over the standard carry gun. 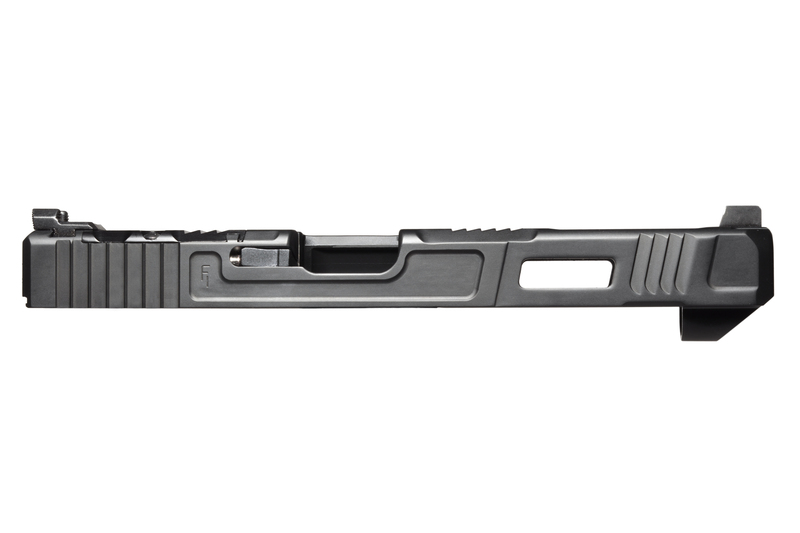 Our Mk 2 line was designed primarily for those interested in pushing their limits in competition shooting. 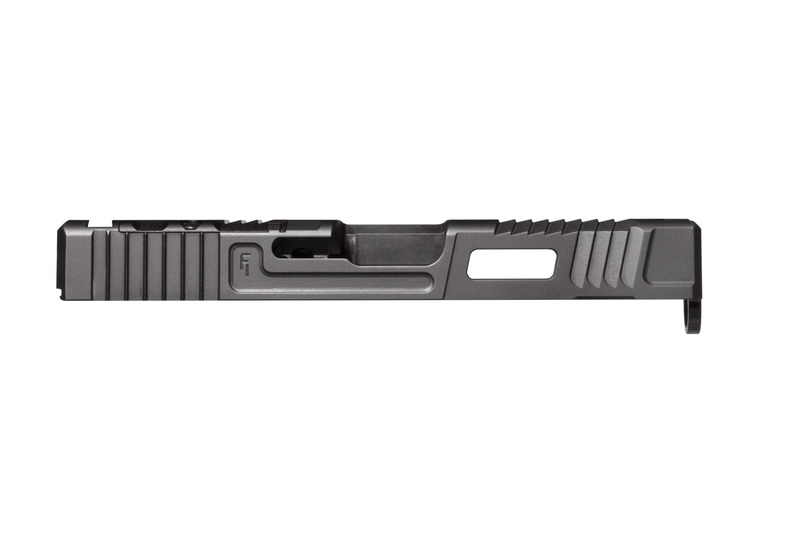 With more aggressive weight reduction, this slide treatment is suited for both speed and accuracy. The Mk 3 (G34/35 only) was designed similarly to our Mk 2 package. 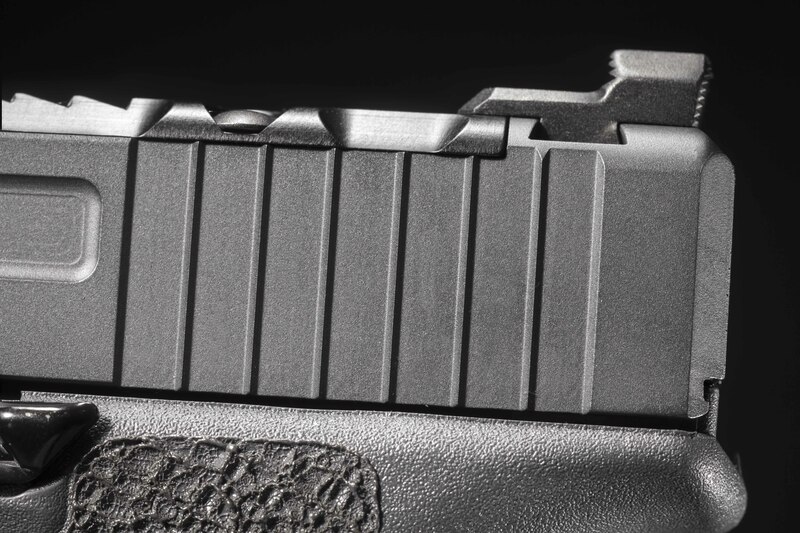 Mass is reduced from the front of the slide, and four front teeth serrations are blended behind our thumb flats. Run your gun faster with the benefit of added sight radius. The Mk 5/Costa (G19/17 only) was designed along side Chris Costa of Costa Ludus. 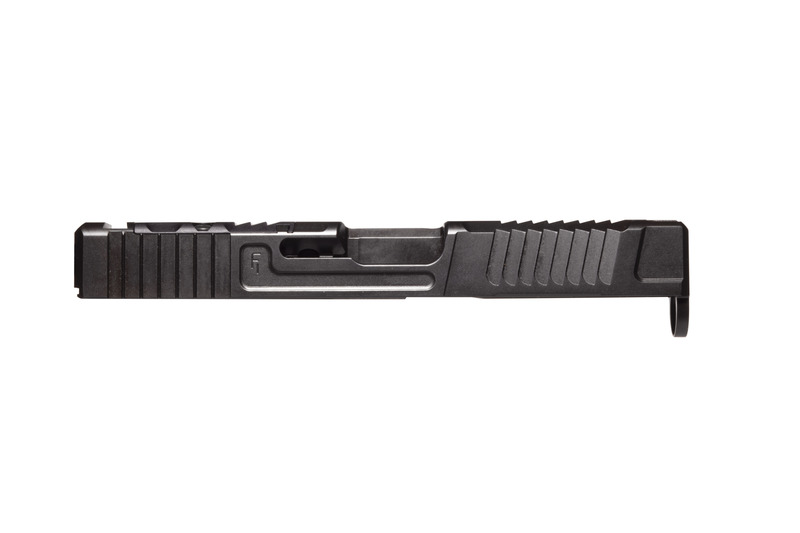 The Mk 5 has full top serrations, and offset/angled front serrations on the left and right sides. 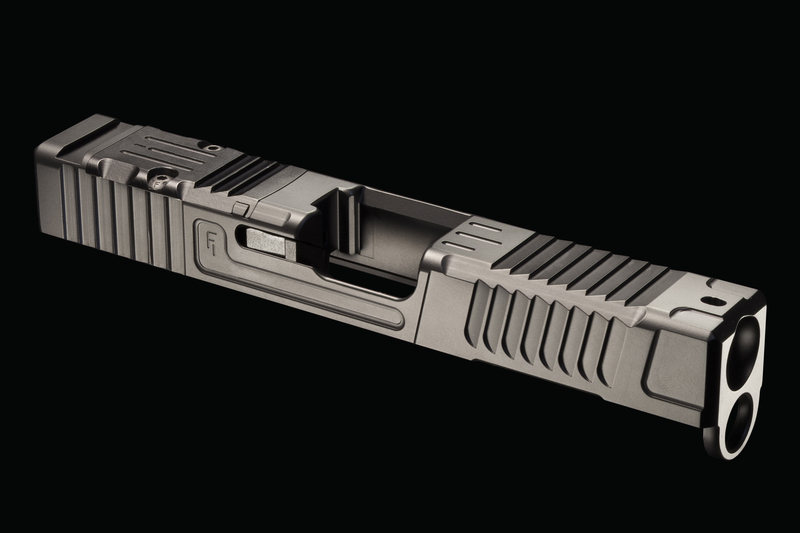 The Mk 5 is a Shooting Surplus exclusive, and can only be purchased through them. The Mk 5 is also offered without side windows, and in dovetail front configuration if requested.